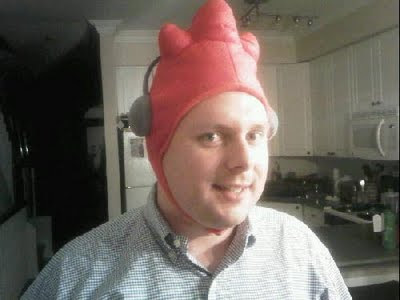 Well there you have it -- the ultimate Scribblenauts Rooster Hat submission. In an act of true generosity, Sony's Senior PR Specialist, Kyle Moffatt, gave me permission to post his rooster picture as linked on his Twitter account. To be perfectly honest, no one is going to top this picture so I'm officially ending our little Scribblenauts hat game. Congratulations to Kyle for participating in our light-hearted game -- you are our undisputed winner. Running our 15 minutes of quasi video game fame game has been so fun I think we should have another later in the year. If anyone out there has a cool game idea send me a note at paulATnextgenplayerDOTcom.